ARVR INNOVATE was one of the first events of its type to be organised in Europe. This has helped it establish a strong reputation both in Ireland and internationally. 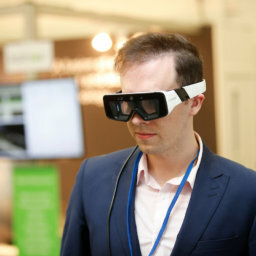 Since its founding in 2014, the aim of the conference has been to promote the capabilities and use of AR and VR, by spreading awareness of these developing technologies and encouraging the growth of the sector. ARVR Innovate provides a platform for practitioners to showcase their work and to come together with others interested in this growing industry. It has also been heralded for helping bring attention to the Irish AR and VR sectors. ARVR INNOVATE has a proven track record in attracting global speakers of the highest calibre. Past speakers have included Don Levy of Smith Brook Farm, Jian Gu from Alibaba, Jan Pfleuger from Audi, Google Earth’s Dave Lorenzini, Ryan Mensches of Microsoft, global mobile phone expert Tomi Ahonen, and leading investors in AR and VR such as Barry Downes of Suir Valley Ventures and Helen McBreen of Atlantic Bridge. Past speakers have included Don Levy of Smith Brook Farm, Jian Gu from Alibaba, Jan Pfleuger from Audi, Google Earth’s Dave Lorenzini, Ryan Mensches of Microsoft, global mobile phone expert Tomi Ahonen, Barry Downes of Suir Valley Ventures, Brian Mullins Founder – DAQRI and SAP’s Manuel Saez. Attendees come from a wide variety of backgrounds but they are generally innovators. They are the people interested in augmented and virtual reality and the capabilities provided by these fast developing technologies. They want to learn more, to see what others are doing in this space, meet practitioners, network and build professional relationships and to find companies to do business with or to invest in. From a professional profile perspective they include C-suite executives, investors, developers, entrepreneurs, marketers and advertisers, sales, IT management, civil service and government. All from a variety of sectors. The following are just a handful of the companies who have attended ARVR INNOVATE in the past.